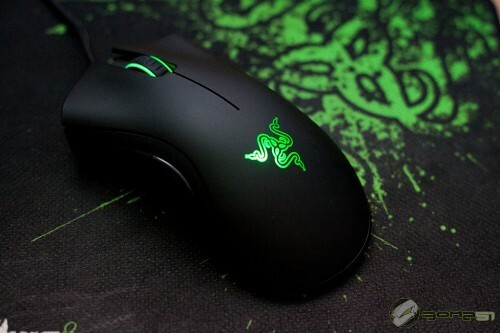 The Deathadder 2013 uses a 6400 CPI optical sensor, has a large, well-notched scroll wheel, and two large buttons on the left side of the mouse that feel satisfying to click, but are stiff enough to prevent accidental presses. 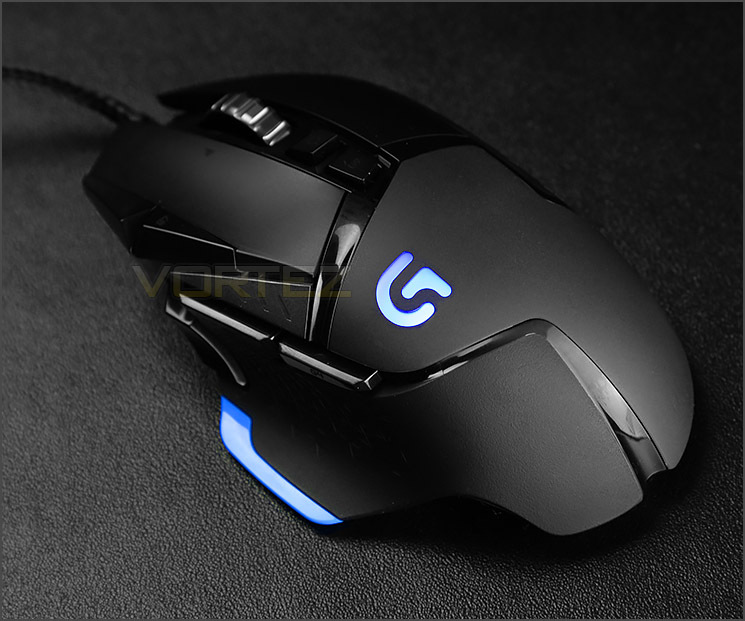 The buttons sit just above a large rubber grip pad that helps keep your thumb anchored on the mouse at all times, and they can easily be pressed without repositioning your thumb. A second-favorite gaming mouse behind the Razer Deathadder, it shrinks the excellent right-hand ergonomics of the Kone XTD into a much smaller mouse, with a large thumb groove and two large, well-placed buttons just above it. The Pure Optical has a nicely notched, large plastic scroll wheel and a pair of DPI switch buttons. It does drop some features from the larger Kone XTD, including the scroll wheel’s ability to click left-to-right, and removable weights. But most of what it drops is actually in its favor. It’s smaller and thus lighter, it doesn’t have the smooth plastic LED tracks around its body, which means it’s all grippy matte plastic surface, and it’s cheaper, too. It is a 121 gram monster (that’s with its weights removed, and not counting the cable), slightly longer than the Deathadder, and built to look vaguely like some kind of futuristic weapon. It also happens to have the best mouse sensor on the market. Where most gaming mice use custom-tuned variations of the same pool of Avago sensors, Logitech is still doing a ton of their own engineering work, and have fitted the mouse with 12,000 CPI sensor that can be configured to a lift-off distance of about 1mm, making it a great choice for either high or low sensitivity players. 12,000 CPI is absolutely overkill, and it would be all but impossible to play a game at that setting without massively cranking down sensitivity in-game. But mouse enthusiasts who have put the G502 to the test back up Logitech’s claim that the sensor has no smoothing at any sensitivity level, and have found that it’s acceleration- and jitter-free even at max CPI. That’s impressive: its means the mouse has a high enough maximum control rate, even at 12,000 CPI, to track fast swipes without losing accuracy.